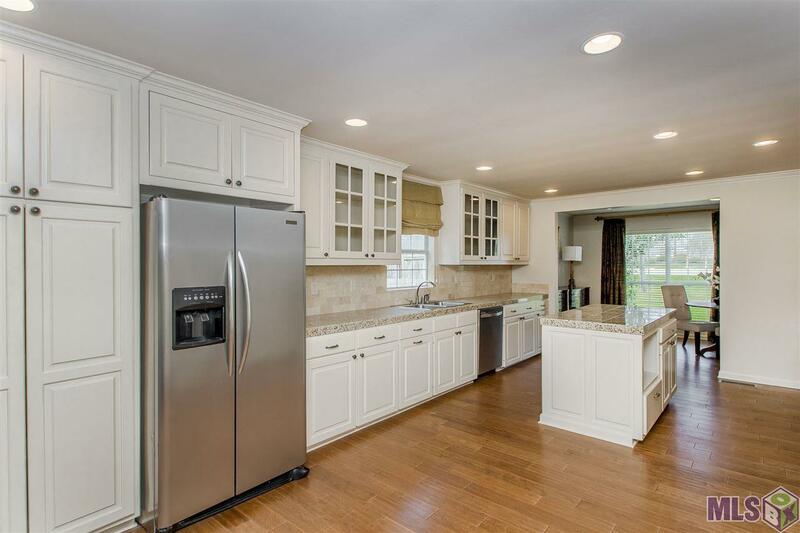 SINGLE STORY 3BR/2BA TASTEFULLY UPDATED BY INTERIOR DESIGNER & is move-in ready!! Freshly painted light & airy interior. Engineered wood flooring in all living spaces & tile in bathrooms. 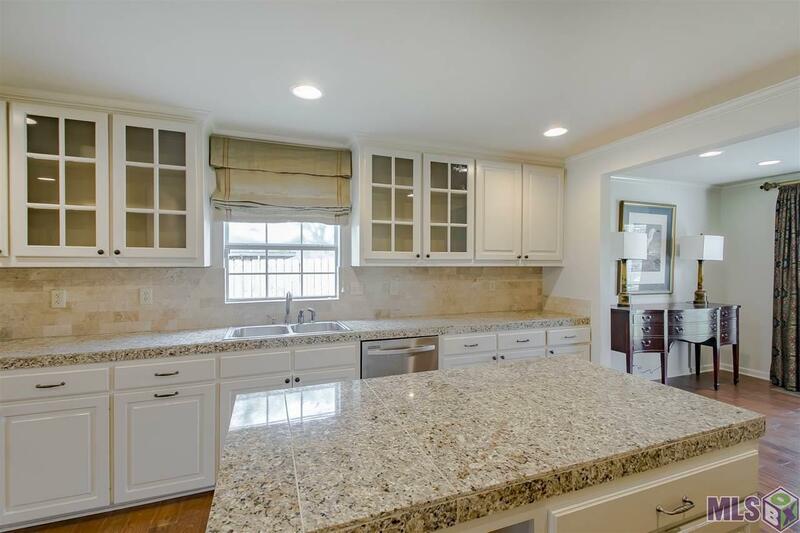 Spacious kitchen w/granite countertops & Travertine subway tile backsplash, large island, stainless steel appliances, white cabinets with abundant storage. Cabinet above refrigerator wired for TV. Kitchen opens to dining/breakfast & living room. 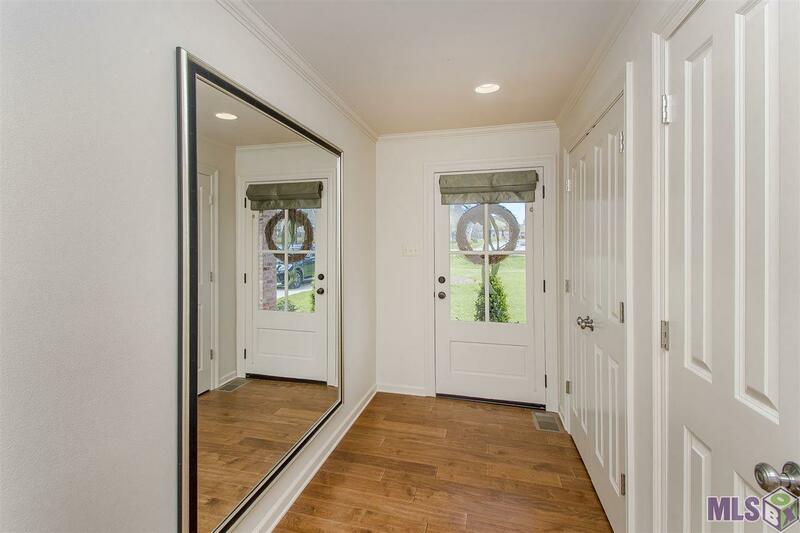 Large LR has direct access to enormous fully fenced backyard w/covered & open patios. Patio area has 2 ceilings fans & large enough for an outdoor kitchen. All bedrooms are generously sized for easy living. Ceiling fans. Tons of storage with extra closets opposite laundry area & in foyer. Security system. Oversized 2 car garage with storage closet & extra parking on driveway. Sprinkler system in front. All new windows & new A/C. Custom drapes, new LG washer, gas dryer & refrigerator to remain. 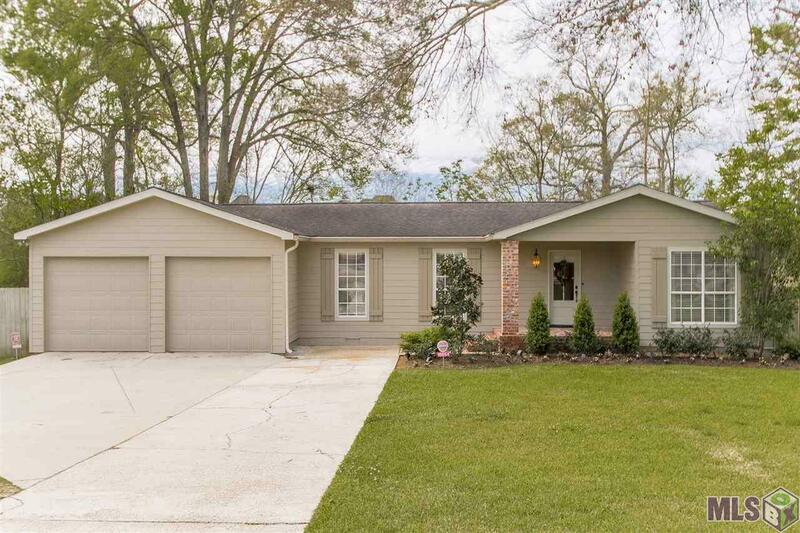 Listing provided courtesy of Engel & Volkers Baton Rouge.© 2019 Multiple Listing Service of the Greater Baton Rouge Association of REALTORS®, Inc. All rights reserved. Information Deemed Reliable but Not Guaranteed. © 2019 Multiple Listing Service of the Greater Baton Rouge Association of REALTORS®, Inc. All rights reserved. IDX information is provided exclusively for consumers' personal, non-commercial use and may not be used for any purpose other than to identify prospective properties consumers may be interested in purchasing. Information is deemed reliable but is not guaranteed accurate by the MLS or Patton Brantley Realty Group. Data last updated: 2019-04-19T14:31:55.97.